Some projects are cuter than cute! I can’t stop smiling since I found this pattern. 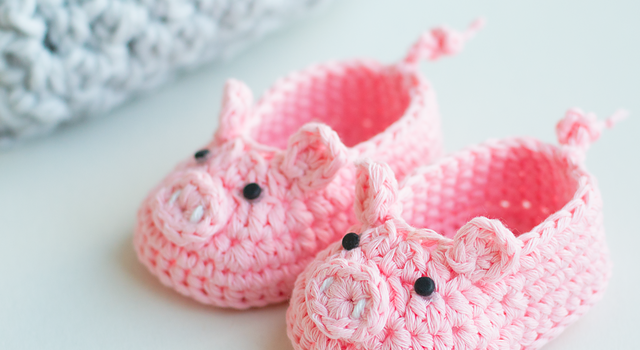 Imagine those little feet in these pig-a-licious crochet baby booties. 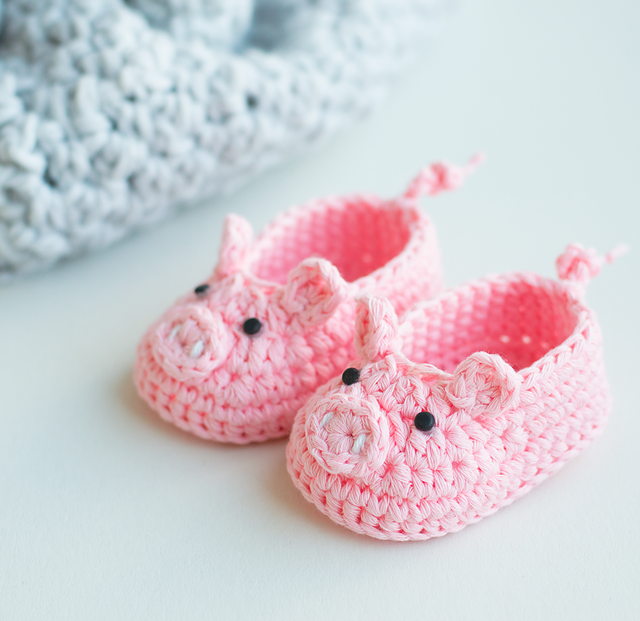 The lovely Piggy Crochet Baby Booties pattern by Croby Patterns, is written in 2 sizes: 0 – 6 months (6 – 12 months). You’ll also get pictures for every row, showing you how to do this baby botties pattern. There are also pictures for the details: the ears, the nose and the tail. Cannot be simpler than this! Once you’re on Doroteja’s site, make sure you visit it. There are some lovely patterns for kids over there. Thanks to Doroteja for this article inspiration and featured image. [Free Pattern] Adorable Round Teddies All Bundled Up In Their Colourful Scarves! @[100000530228687:2048:Kelsey Klinker] you have to have a baby so I can make you these!!! Cute in tan for neutral gender. Ill get there really soon!!!!! Mary, can you make these for me? Andrea Szabokine Jung these are so cute! I saw a pic of these or something like it and tried to follow it to a pattern and didn’t have any luck. You know my list of stuff to make it growing longer everyday!!! These are just to cute ! Thx for sharing. These are adorable!!!! And I have LOTS of pink yarn! It should be booties not booties.shouldn’t it. I’ve made several pair. Just love the things and so easy. Went to a shower for a baby boy so I made them blue. The pink are my favorite but blue still cute. Ann, would you know who produced the first knitting pattern, and who invented the terminology ? Delene Lueken you could make in red and put tusks for Kelly some day. Jennifer Majick Jackman SOMEONE must have a baby girl that needs these booties! Ive made several pairs of them. So darn cute. Even did some blue ones for boys. Oh my gosh Jaymee! These. Are so cute!!! Sure wish I knew how to do this. Why do they say free pattern when it is not available? DUMB!